Set below high sandstone cliffs this sheltered beach is a real suntrap and usually much the quieter of the beaches around. It was a shame the morning tide had brought in so much seaweed when I ventured down. It was only at the one end though, so the rest of the beach was still looking good. 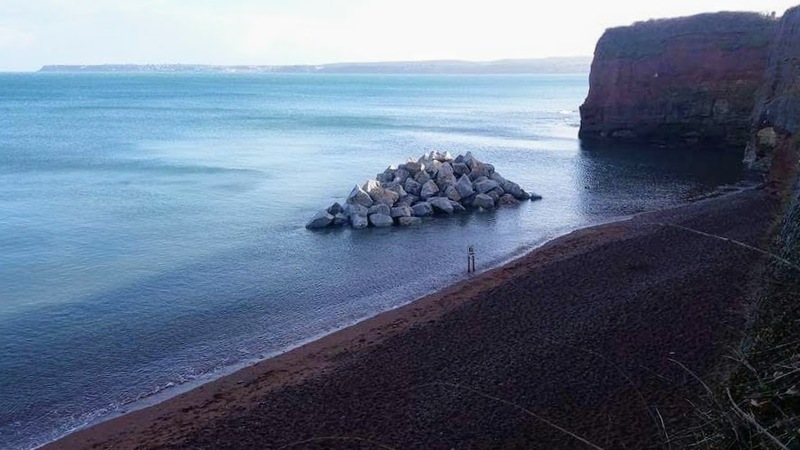 The water quality is actually excellent and crystal clear for swimming.The cliffs on the Paignton side have undergone some extensive rock armour protection work, with a few piles of rock having been placed to protect the cliff from the winter sea bashing. Tip: The sands are revealed when the tide is out, at high tide they are covered to the base of the cliffs. 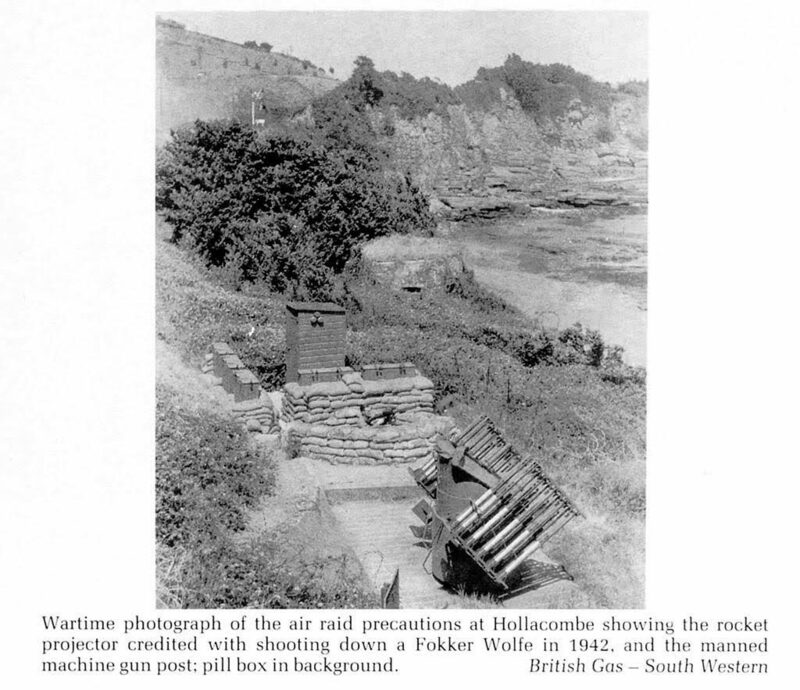 Hollicombe beach is also known as The Old Gasworks beach by the locals. You will notice today in Hollicombe park the remaining shapes of the disused gas works. Children will enjoy exploring the many rock-pools which are revealed at low tide. 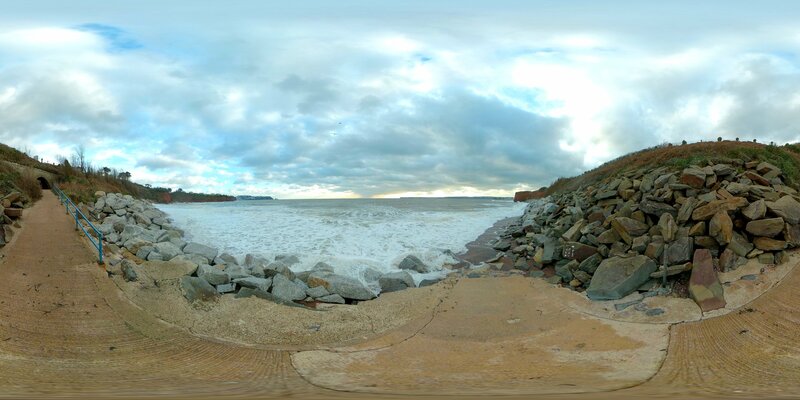 A freshwater stream runs across the beach into the sea which acts as the boundary line for Paignton & Torquay. 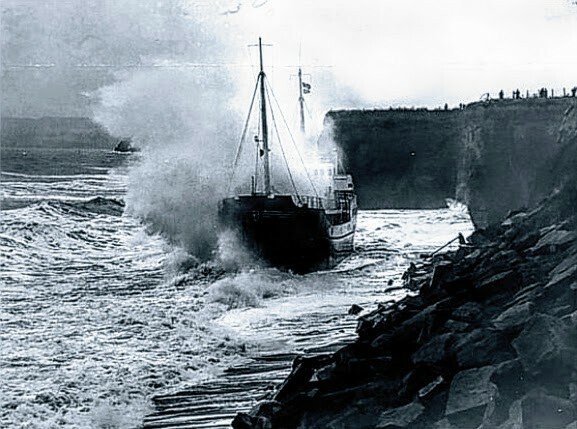 The Danish freighter, "Northwind" ran aground close to Hollicombe beach in Dec. 1964, the ship was on her way to Teignmouth to load china clay, she was refloated the following evening. There are no facilities, so bring a picnic or bbq. Just remember to clean up after yourself. The nearest toilets are at Preston Beach a 10-minute walk along the coastal footpath. Torbay Road, Torquay, Devon TQ3 2DN. Hollicombe is on the main coastal road and the south west coastal path. 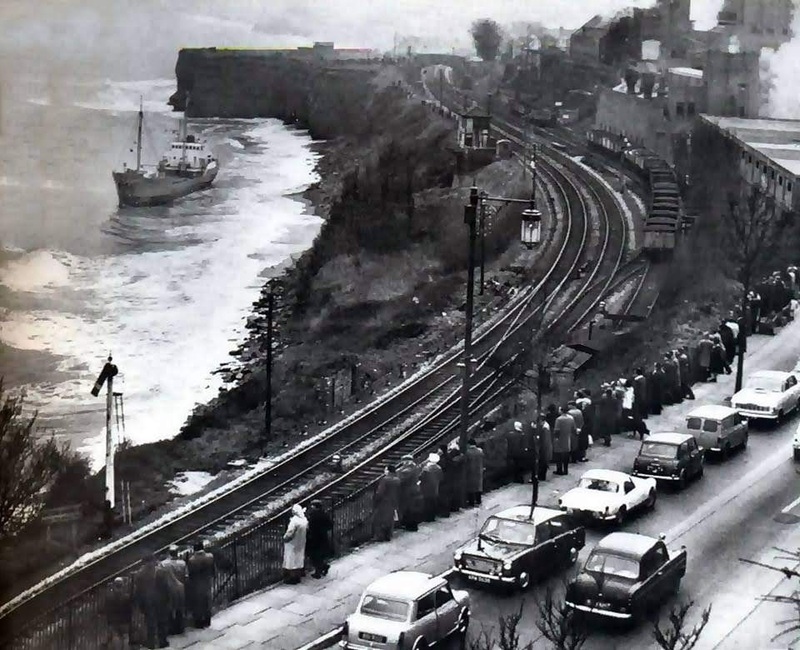 To get to the beach go through the park and under the railway bridge. By Car, For free parking try around Tarraway Road TQ3 2DU. By Bus, the number 12 will stop right next to the entrance to Hollicombe Green. 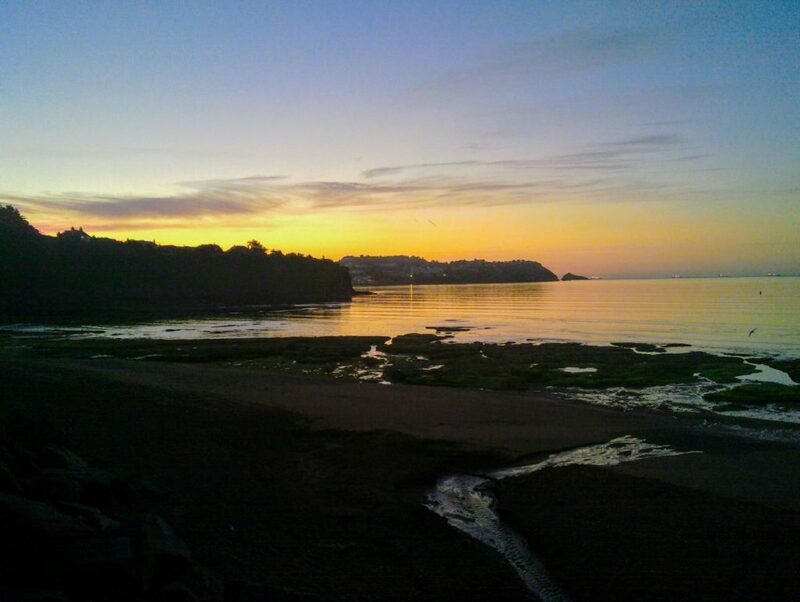 Walking, located on the south west coastal path, it’s easily accessed from both Paignton, Torquay and is in easy walking distance from nearby Preston. 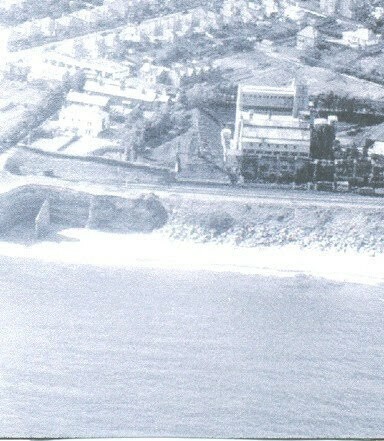 The sands are revealed when the tide is out, at high tide they are covered to the base of the cliffs. For free parking try Tarraway Road. Disabled access to beach via a slipway. There are life buoys, but No lifeguards. Potential tidal cut-off, strong winds and some deep shelving. Dogs not allowed 1st May until 30th September. The slipway gives easy access to the beach, but can be slippery at times. 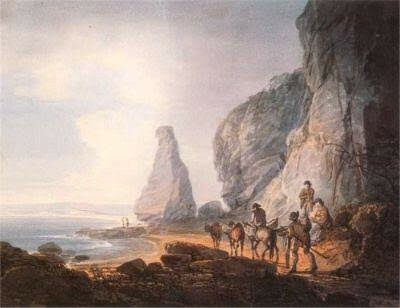 Beach type: Sand with rocks and cliffs. 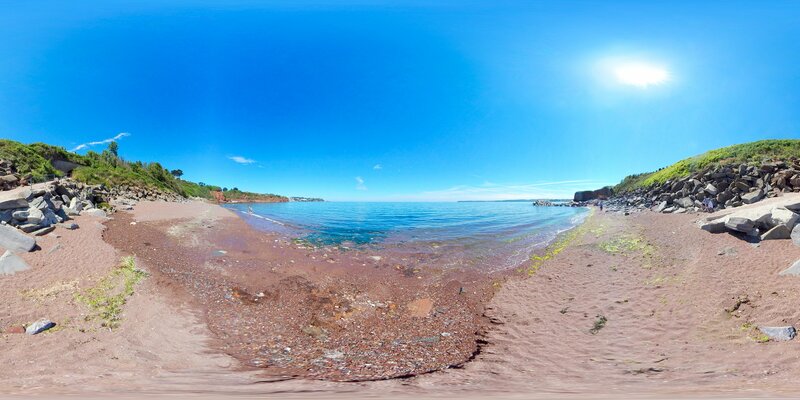 Have you been to Hollicombe Beach? Did you like it? What was your favourite thing to do?